Here is the poster for Brugos, Alejna & Barnes, Jonathan (2012). 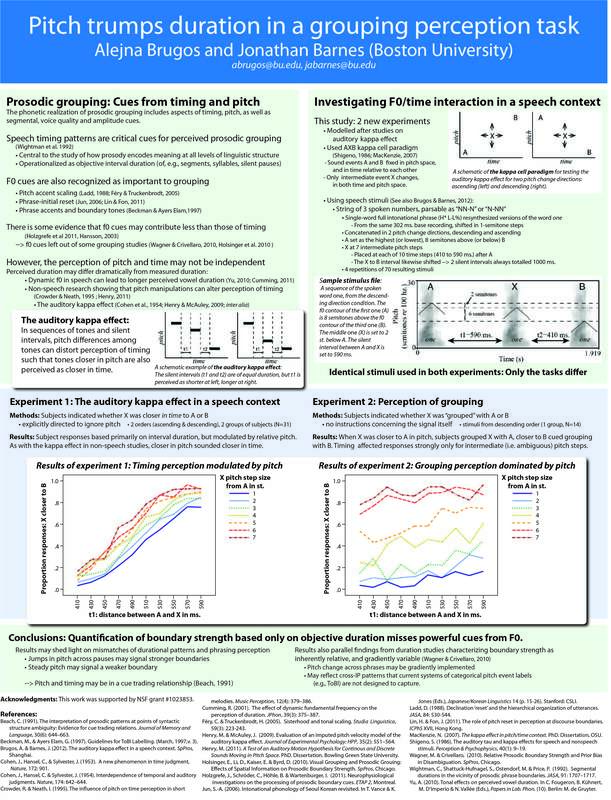 “Pitch trumps duration in a grouping perception task,” 25th Annual CUNY Conference on Human Sentence Processing, New York, NY. March, 2012. 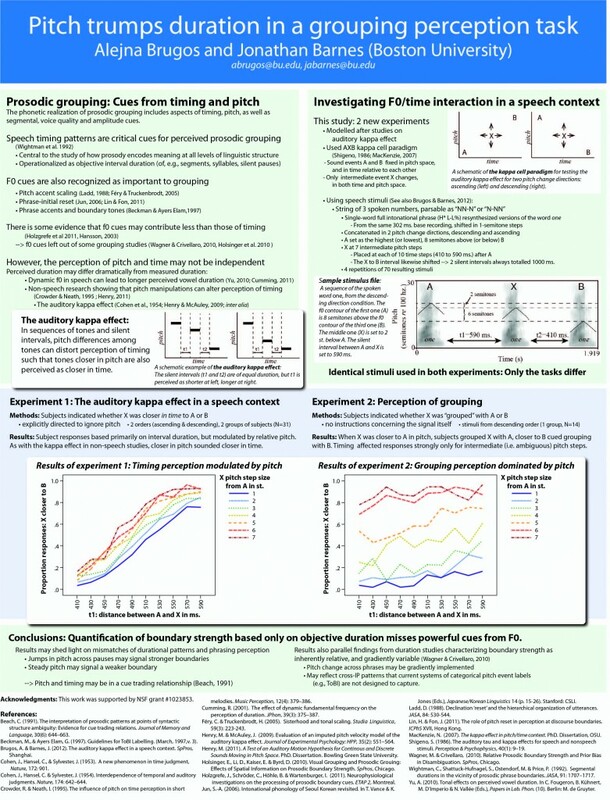 For the full-sized poster pdf, click here: brugos-barnes-CUNY2012.